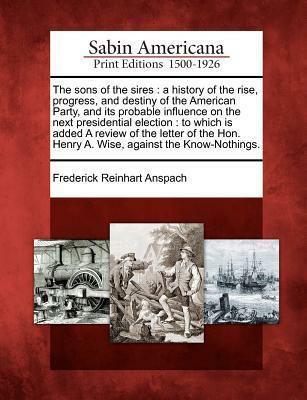 Title : The Sons of the Sires: A History of the Rise, Progress, and Destiny of the American Party, and Its Probable Influence on the Next Presidential Election: To Which Is Added a Review of the Letter of the Hon. Henry A. Wise, Against the Know-Nothings. More of a plea for nativism than a history of the party also includes a rebuttal of a letter by Henry Wise.